ah, november first, a turning of the wheel, a look back at those who have come before us, considering our place on the continuum of life. darkness falling earlier, inward turning. i had a conversatoin this morning with someone who “hates darkness” and only likes sunshine. and it disturbed me. i have always taken it as a given that there can be no light without the darkness. the spectrum of life is amazing and fruitful. and darkness feeds our art and poetry, drives our sensuality and sexuality, and provides a counter to stupid cheerful crap. so i did what i always do when i get disturbed-i took a walk in the woods. 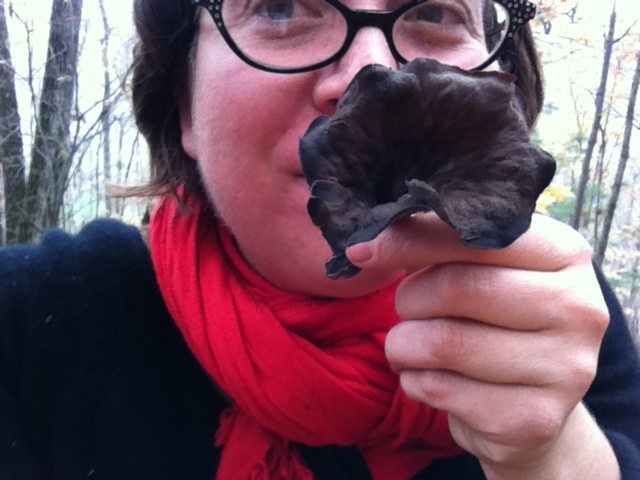 i went foraging, like my great-grandmother used to do. not everything can be fixed with a ramble, but most of my emotional states can be unraveled and re-raveled that way. and the forest gave me a bouquet. yes, the forest provided me with a day of the dead bouquet to answer my questions about darkness. praying to your ancestors is good. eating them is better. the hatred and fear of darkness is a hatred and fear of the self. you do not have to “like” your dark side. but it helps to acknowledge that it exists. you do not have to “like” your ancestors. but it helps to acknowledge that they came before. 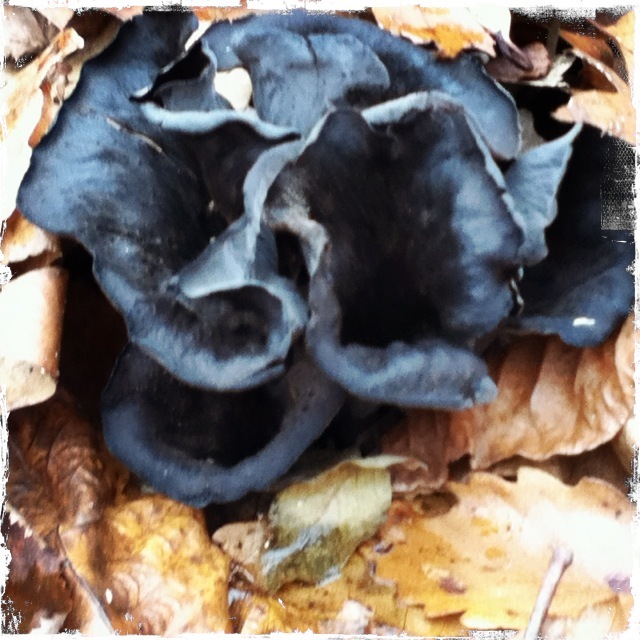 you do not have to “like” fungi. but they will help you turn back into earth. 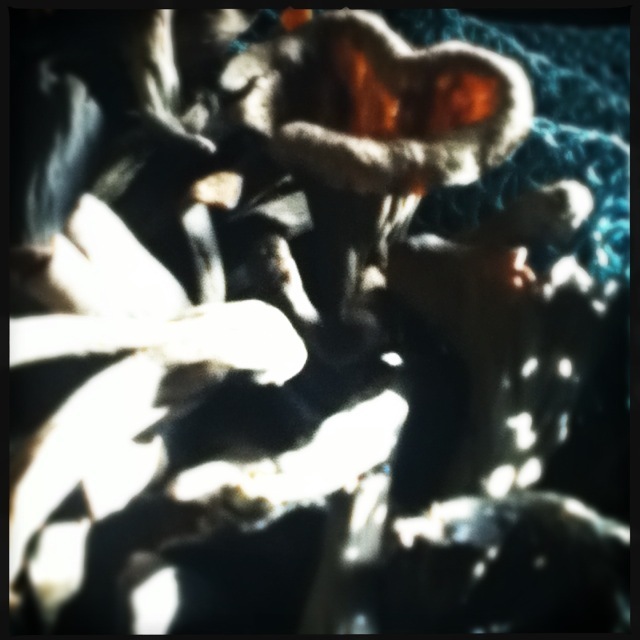 mycelium underlies all that we see and all that surrounds us. fungi remediates what we leave behind, literally breaking down the detritus of the plant and animal kingdoms and turning it into incredible shapes and colors and flavors. 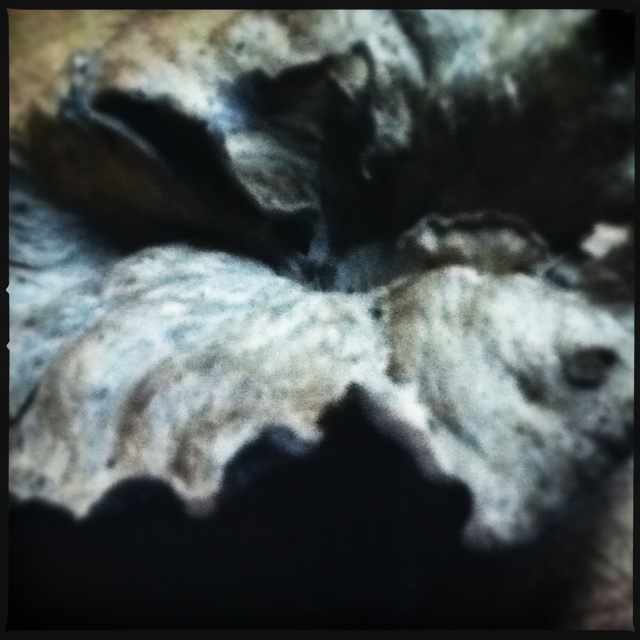 fungi are a literal and tangible representation of the cycles which bind all life on this earth together. i can think of little more feared by modern people. i can think of few wild things less understood by modern people. the black trumpet brings me joy, sensual pleasure, reconnection and the uncomfortable lesson that though i may now be doing the harvest and the eating, trumpets of death will be eating me someday. this cycle informs nearly all of my emotional work. 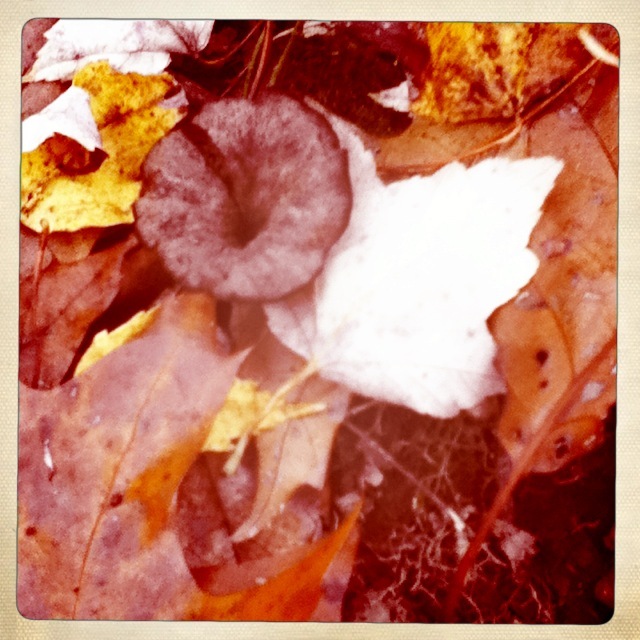 i find it simultaneously comforting and mortifying that we are on a crash course with spores and worms. my life’s work is to ease my heart towards welcoming that inevitablity, that darkness. but in the meantime, we hunt, we gather, we feast, and we share our light with each other to get through the darkest times.